This month, we look at the cutting edge in transportation technology: Hyperloop One. This super fast, futuristic mode of transport, straight out of a sci-fi novel is in development and will completely reinvent transportation, eliminating the barriers of distance and time. We talked with VP of Hyperloop One, Anita Sengupta and movmi’s CEO, Sandra Phillips at Movin’On Conference with Ashley Hand and compiled their insights on shared mobility and Hyperloop technology. If you missed our July edition of WiSM on Autonomous Vehicles, read it here. In 1799, inventor George Medhurst proposed an idea to move goods through cast-iron pipes using air pressure. In 1844, he built a railway station (for passenger carriages) in London that relied on pneumatics until 1847. A growing global economy requires faster, cheaper, safer and more efficient transportation modes. Today, our roads, airports, and ports are always congested. We haven’t had a major new form of transport in 100 years. Hyperloop technology is ultra-fast, on-demand, direct, emission-free, energy efficient, quiet and has a smaller footprint than other high-speed transport modes and will seamlessly integrate with our current transportation systems. 1. WHAT IS HYPERLOOP ONE? Hyperloop is the first new form of transportation that we’ve had in society within the last one hundred years. It’s best described as a space craft travelling on the ground. It’s a passenger vehicle which is magnetically levitated and electrically propelled inside a vacuum tube. One advantage being inside a vacuum tube is that aerodynamic drag is eliminated, which is the primary source of energy consumption for high speed travel. This allows speeds in excess of what an aeroplane is able to do and could potentially replace transportation over land masses in a green and efficient manner. It is electrically fuelled so there is no need for fossil fuels, you can use grid based power, which will reduce your carbon footprint, congestion and increase user experience. It’s definitely imagined as a intercity mode of transportation. In order to get up to those high speeds, you need to accelerate at a relatively low rate. Once you hit 40-50 kilometres you are able to achieve your top speed and then you would essentially cruise like a space craft in the vacuum tube over large distances. The possibility will be to travel across the United States in 4 hours, door-to-door. 2. HOW HAS INTRODUCING A NEW MODE OF TRANSPORTATION BEEN RECEIVED AND WHAT LESSONS HAVE BEEN LEARNED ALONG THE WAY? There is an operational Hyperloop currently in Las Vegas and is used as technology demonstration tool, it does not carry passengers. When a new technology is created, it can’t just work on paper, you have to build it, you have to test. Being able to carry out these tests, the technology is de-risked from a performance perspective. The main challenges are related to the regulatory environment across all municipalities in the world. Hyperloop technology must be compatible from an engineering regulatory perspective in all countries. As Hyperloop Technology is a completely new mode of transportation, somewhat of a cross between aviation and air, but neither of the two, there will be a whole new set of regulatory standards created, but pulled from existing transportation regulations. 3. What is taken into consideration when searching for places to build this technoloy? Ridership is big component. Connecting city pairs or larger networks of cities to reach the number of people required from a capacity perspective. Geographically a region that is amenable to the technology. However, Hyperloop transportation can cross over larger grades and reduce cost of tunneling through mountainous regions. Dr. Anita Segnupta is a rocket scientist and Aerospace Engineer who for over 20 years has been developing technologies that have enabled the exploration of Mars, Asteroids, and Deep Space. She is currently the senior vice president for Hyperloop One. Connect with Anita here. 1. How are cities responding to new shared mobility services and what barriers do these programs face? Vancouver has a vast offering of shared mobility services. Although there is no ride-hailing options like Uber of Lyft, there is an eco-system of different car and bike share operators. One third of the population use these services instead of owning and operating their own personal vehicles as a first and last mile solution. From a consumer’s perspective, there are high acceptance rates if it’s convenient, affordable and safe. From a city perspective there is a little hesitation in implementing something new because you don’t fully know the outcome. Launching a pilot over a certain period of time were you can measure the data and success to show the city has benefits. It also allows adjustments to be made in the regulatory framework once there is a better understanding of how it will function practically. 2. Is competition good for mobility at present? Competition is the best for the consumer. Transportation is so vast and culturally different everywhere that no one provider will find a solution that will work everywhere. Transportation historically has always been about the product. Now as we move into the realm of Mobility-as-a-Service, it’s basically becomes a commodity. It’s about getting from A to B in the most efficient way, or the most environmentally friendly way, etc. The winners in this space will be the companies who are willing to collaborate in order to provide the best service. 3. WHEN DEVELOPING AN ARCHITECTURE FOR SHARED MOBILITY WHO ARE THE OPERATORS? In Vancouver, for example, there is an eco-system of private operators that are enabled by the municipalities. With the huge success of carsharing, now is the time to connect both private and public operators within the city to provide better service and mobility. By 2030, half of the world’s population will be living in cities. In rural areas there isn’t really an eco system of operators until a certain density is reached. In those situations, the operators are mainly public. In some cases it can be a hybrid model depending on the local municipalities. 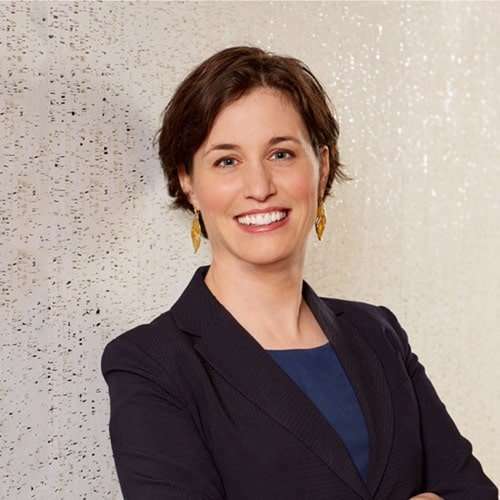 Sandra Phillips is the founder and CEO of movmi and as a Shared Mobility Architect she is in charge of overall service and market strategies. Sandra has held Senior Management and Executive roles with Daimler, BCAA and BMW and has launched shared mobility systems in more than 10 cities world wide. Connect with Sandra here. What are your thoughts on current shared mobility services and the implementation of Hyperloop Technology? If you would like to nominate a woman working in Shared Mobility for our next series, get in touch with us here.